So I’ve had a rough time finding stores that have great prices and clothing for...well… women older than 18. Sometimes I can find appropriate, cute tops at Forever 21, but it’s always a task. Target used to be a go-to, however they have drastically increased their prices over the years (Who do you think you are Target?!) I usually shop their clearance section online now. 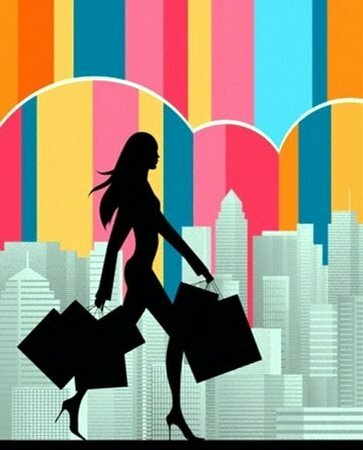 Here are a few of the online stores I have found that have great prices and some cute clothing for women. JCPenny has really great prices now. However, I must disclose, those prices come with another cost; time. I order a bunch of things from JCPenny that were listed as “in stock” online at the time of purchase. A day later I received an email apologizing saying all of the items I ordered were back-ordered and wouldn’t be in stock for a couple of weeks. About a week later I received another email pushing the date even further back. Finally I received an email saying my items had shipped, but a few of my items were canceled because they will not be getting them back in stock. It took over a month from the time I ordered for me to receive my shipment. I checked out some forums and apparently this isn’t uncommon. So if you need an outfit or article of clothing by a certain date, I would not recommend getting it from JCPenny online. They do have teen-geared clothing but there are dresses, shoes, shorts, skirts, jeans and cardigans that may be appropriate for non-teens. I try to pick up what I can at garage sales or stores like Once Upon A Child that sell gently used baby items. There are also groups on Social Networks (ahem, Facebook) for moms looking to buy/sell used baby items. I also use Target’s clearance section when they have things I need. Crazy 8 (by the same makers of Gymboree and Janie & Jack) has some cute, high quality clothing for very low prices. I normally shop Amazon for toys, infant seats, bottles, etc. I’m an “Amazon Mom” and receive free 2 day shipping so it ends up being a great deal.